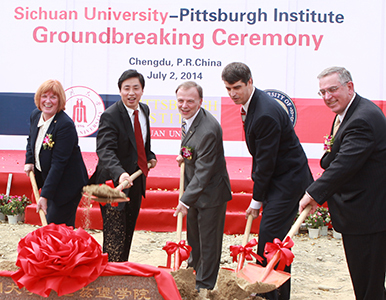 The University of Pittsburgh and Sichuan University formed a partnership in April 2013 for a joint engineering institute to be known as the Sichuan University - Pittsburgh Institute. The institute will educate undergraduate students and foster collaborative research. Sichuan University will invest nearly $40 million to construct and equip the new 9,290.3-square-meter building on its Jiang'an campus in Chengdu. The Institute will open its doors in fall 2015 to 100 undergraduate engineering students. All classes will be taught in English by faculty recruited worldwide. The program combines research with education, professionalism with academics, and Eastern with Western approaches. Three undergraduate degree programs will be offered: Industrial Engineering, Materials Science and Engineering, and Mechanical Engineering. Minking K. Chyu, PhD, has been appointed the inaugural dean of the Sichuan University-Pittsburgh Institute. He was also appointed the inaugural associate dean for international initiatives for the University of Pittsburgh’s Swanson School of Engineering. 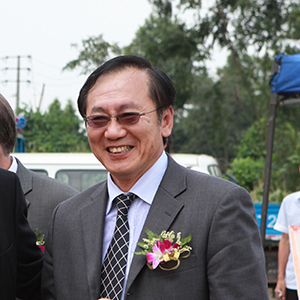 Construction of the Institute began with Provost Patricia Beeson and Xie Heping, president of Sichuan University, accompanied by leadership team from both universities, participating in a groundbreaking ceremony. L to R: Provost Patricia Beeson; Xie Heping, president of Sichuan University; Larry Feick, senior director of international programs at Pitt; Greg Marcus, section chief, US Consulate in Chengdu; and Prof. Gerald Holder, dean of the Swanson School of Engineering. Provost Patricia Beeson signed an agreement with Sichuan University to develop the joint engineering institute.